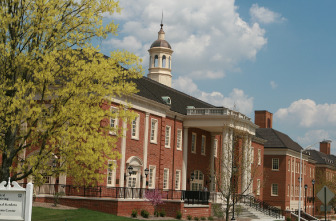 A university landmark since 1908, Hall Auditorium is a stunning site for events such large concerts, keynote addresses, and general sessions. With a seating capacity of 750 and a location just a block from "Uptown" Oxford, Hall Auditorium is an ideal location to gather guests for the most important time slots on your agenda. 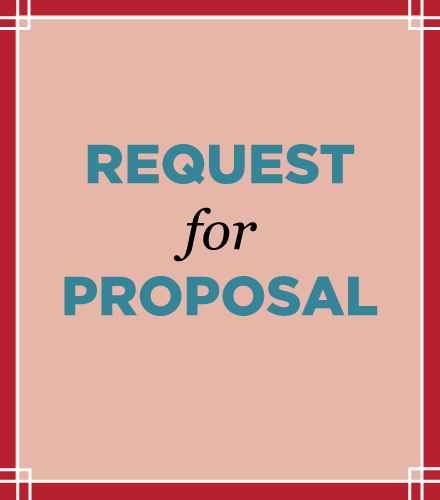 To request access to use this space, please complete the online request form. 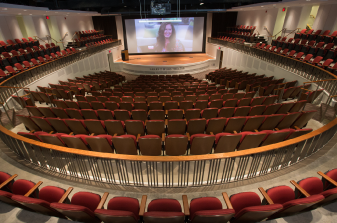 The Armstrong Student Center’s elegant, 500-seat theatre features a balcony level and is perfectly suited, with its state-of-the art sound and video systems, to host on-campus movies, as well as artistic talent from both select students and professionals. It also provides a showcase facility for hosting orientations and events for prospective students. Located in the Richard T. Farmer School of Business, the David R. Taylor Auditorium is a 500-seat space that can be configured to accommodate various sizes of groups in an optimal setting. Conveniently located amongst the different quadrants of Miami’s academic core, auditoriums ranging in capacities of 150-385 are great solutions to the answer of where to have large group meetings on a tight budget.